It took two years to close a cruel loophole in palliative care, even with legislative consensus. Why? The Ministry of Health is many steps removed from the realities of front line care, and providers are often stuck fighting against nonsensical rules or looking for backdoor ways to alleviate the suffering caused by thoughtless red tape. When the principles of Canadian health care are so patently violated by bureaucratic structures, we need a more nimble system response to the needless suffering of our patients. Most Canadians would expect that when they are facing death, or when their loved ones are facing death, our health care system will provide the necessary services to make their final days as comfortable as possible. Yet this is not always the case. In 2016, 48-year-old Dan Duma was working in Alberta when he received the devastating news that he had terminal liver cancer. Duma was originally from Ontario, so he went home to be with his family. Home was where he wanted to die, a goal normally supported by publicly funded medical equipment, nurses and other care providers. 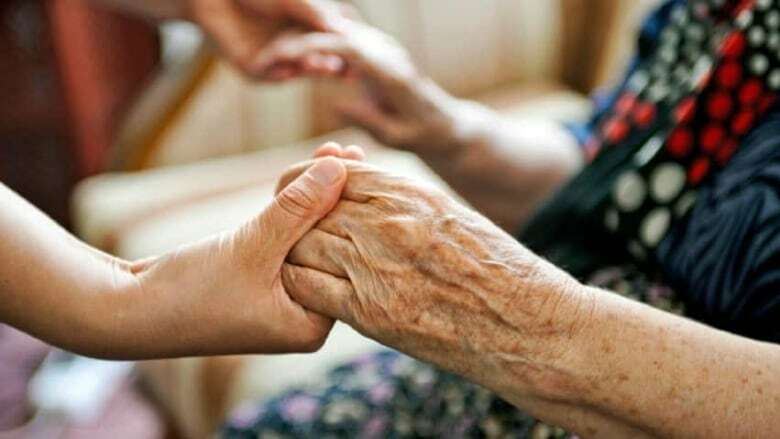 Tragically, Duma didn't qualify to access palliative care at home or in a hospice because of a mandatory three-month waiting period for those who move to Ontario from another province. The only option for Duma was to suffer without home care until he could bear it no more and then go to the hospital to die. Ultimately, Duma's palliative care physician, Dr. Darren Cargill, managed to pull strings and secure emergency funding to support Duma's choices in his final weeks of life. One month into his three-month wait, Duma died in a hospice just outside his hometown of Windsor. This case highlighted a glaring loophole in provincial health care, whereby patients have no access to out-of-hospital and non-physician services for several months when they move provinces. In short, hospital care is exempt from the three-month-waiting period because of the way the Canada Health Act enshrines certain services as essential. But this is a relic of Canadian medicine of the past, where for decades there was little else in the way of public health care except for doctors and hospitals. Nowadays, home and hospice services are fundamental parts of our system and absolutely critical to delivering high quality palliative care. Yet much of the problem with closing these loopholes is that there is no clear mechanism in place for health care providers to push for progress within our current system. Forcing a palliative patient to wait for services is plainly cruel — not mention out of sync with the Canadian principles of health care universality — but in the case of Dan Duma, there was no mechanism for Dr. Cargill and palliative physicians like him to solve this problem from the inside. So Dr. Cargill went the political route, and worked with Windsor West MPP Lisa Gretzky to draft Dan's Law, a private member's bill to eliminate the three-month waiting period for palliative patients. It was a straightforward piece of legislation that garnered all-party support, yet it languished for nearly two years in the purgatory of government committee and died before it could get its last reading just prior to the 2018 election. In the end, the loophole was closed from within the Minister of Health's office, via a regulatory change pushed forward by Ottawa South MPP John Fraser. At long last, moving provinces to be with family at end of life wouldn't automatically mean a three-month wait for palliative care. At least, not in Ontario. What can we learn from the failure of Dan's Law and the successful policy change that followed? Well, this story speaks volumes about the lack of responsiveness from our Ministry of Health. It took a protracted fight and the unappealing optics of thwarted legislation to effect a widely agreed-upon change. Ideally, common sense improvements should be made through collaboration between the Ministry of Health and front-line providers. The changes enacted by the former Ontario government should be celebrated, yet in the nearly two years between formally identifying the problem and closing the waiting period loophole, Dr. Cargill is aware of dozens of patients who were barred from accessing full-scope palliative care. Ontarians look to providers and administrators to deliver health care that is compassionate, effective and concordant with Canadian values. Without meaningful cooperation between the front line and the bureaucracy, we will always fall short of that goal. Dr. Michelle Cohen is a family physician in Brighton, Ont., and an assistant professor in the Department of Family Medicine at Queen's University. She typically blogs about health care and medical politics at Huffington Post.